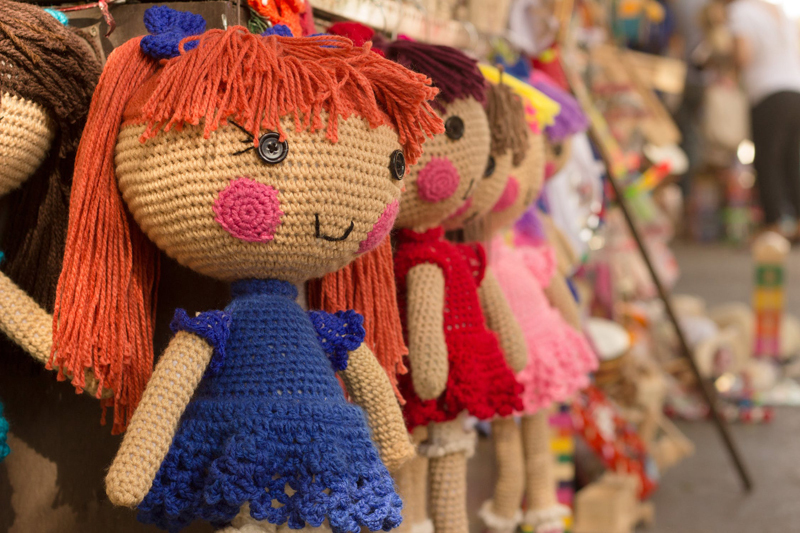 Unfortunately, Doll Making, as much as I love it, and as satisfying as it is to do, does not pay the bills! My paying job is as a full time teacher in a local preschool. Yes, it's a ton of fun. Each year, for Halloween, the school holds a party at which the staff is required to dress in costume. I gave a lot of thought to what I wanted to dress as, but ultimately, I decided to stick with my doll making. So off I took myself to the fabric store to look at patterns and gather some ideas and inspiration. As luck would have it, I found not only inspiration, but an actual pattern for a Raggedy Ann and Andy costume! Imagine my joy when I realized that all the designing and measuring had already been done for me. I decided then and there that it was the perfect costume for a doll maker to wear. The photo to the right is the finished costumes. I am Raggedy Ann and my co-teacher was Raggedy Andy. The kids had a blast and we received many complements on our cute costumes. For those of you who would like to do this, Simplicity makes this pattern, it is Simplicity pattern number 2514. All adult sizes are included. In one pattern there is everything you need to become Raggedy Ann or Raggedy Andy, including mittens and instructions to make the red yarn wigs. All you need to add are black shoes and red and white striped stockings. What I also found during my research is a pattern to turn your baby into Raggedy Ann or Raggedy Andy. This one is Simplicity pattern number 2487. Simplicity pattern number 2510 will work for any child, up to size 8, that wants to join in the fun. Last but not least, if you would like to just make the doll, there is patterns number 3945and 9447 for dolls in several sizes as well as different outfits to dress them in. If you decide to join me in becoming one of our favorite dolls for Halloween, please share stories and photos with us in the Doll Making Forum.